It’s been raining non-stop for two days here. 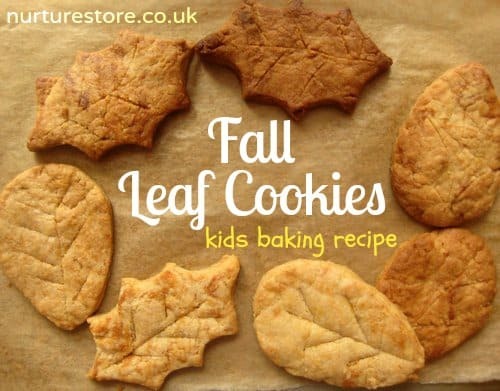 Time to switch on the fairy lights in the kitchen, pull out our favourite gingerbread recipe and enjoy some cosy autumn baking :: we’re making fall leaf cookies! 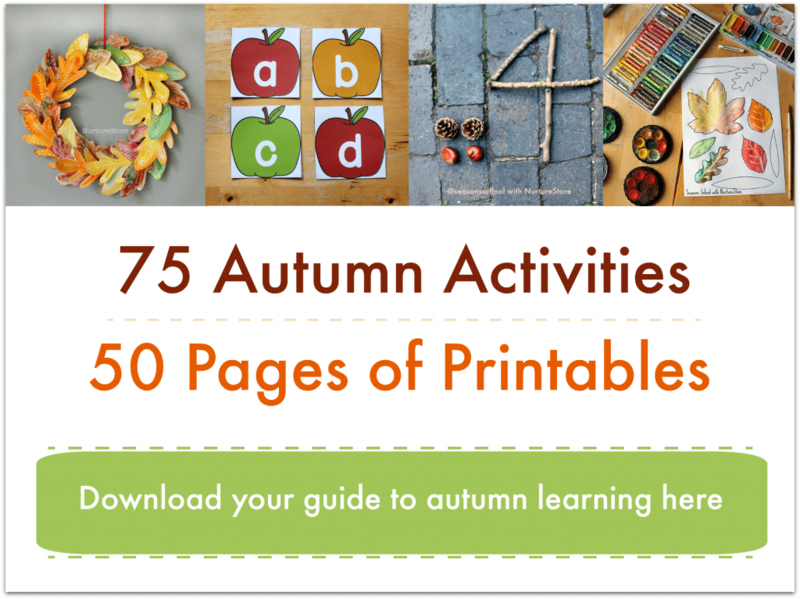 Click here for all your autumn lesson plans, crafts and activities. 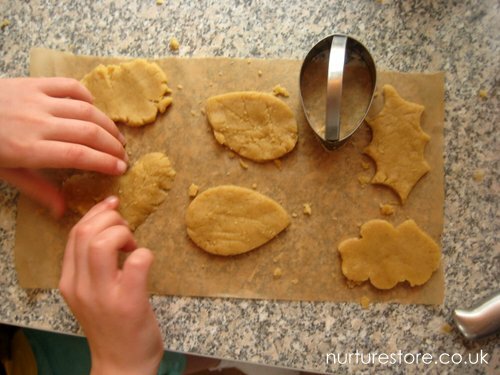 We used this easy gingerbread recipe as the dough for our cookies. 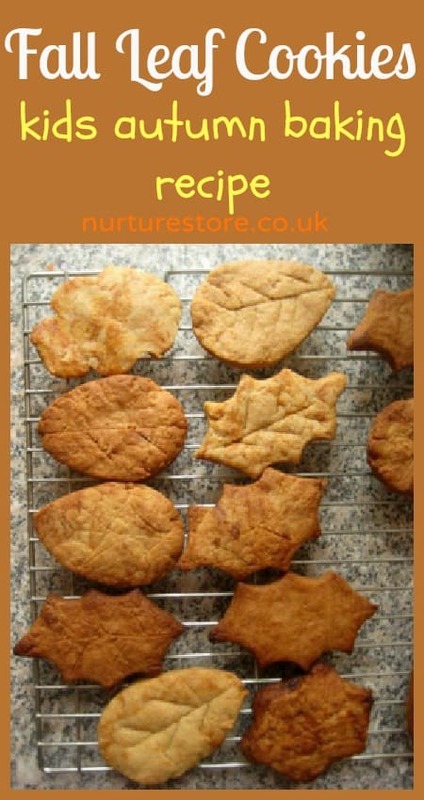 It’s a great recipe – nice and simple for the children to follow, and the dough holds up well to lots of kneading and handling. 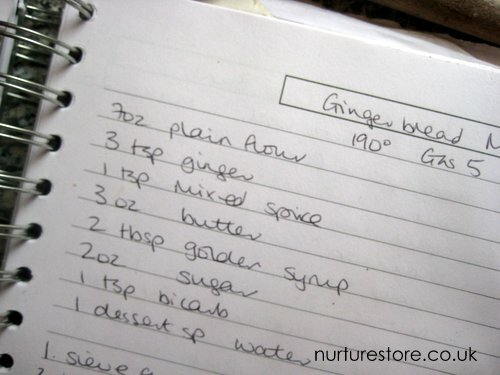 The warming spices we added of ginger, cinnamon and nutmeg are perfect for this season too. Rather than flour our work surface when we rolled out the dough, we used some piece of baking parchment. 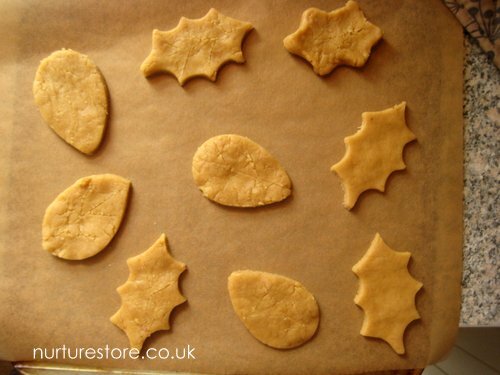 They stop the dough sticking without making the cookies dry out from all the extra flour. To create their leaf shapes the children used some cookie cutters (a round cookie cutter given a squash makes a great leaf shape!) and made some free-hand. They scored the surface of the leaves to make veins – and we were pleased to find the marks stayed on the leaves even through the baking. Baking the cookies on different shelves in the oven gave us a lovely range of autumn colours. Yummy too! 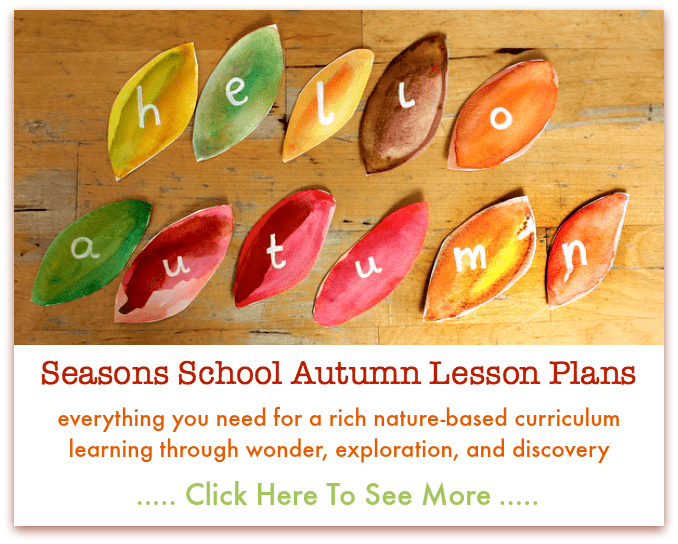 Click here for our autumn lesson plans, crafts and activities. Head back to school feeling confident and excited, knowing you are all organised with my rich, educational curriculum. Your autumn lessons will be stress-free because you have this whole-brain, hands-on, engaging programme of lessons that your children will love. I really like this idea, might make some for my work mates, if they will eat anything made by a toddler!